Netto's Game Room: Mario Party "3D"
The Mario Party series is one of the most well known Mario spin offs out there, and they have been released on every Nintendo console since the Nintendo 64. 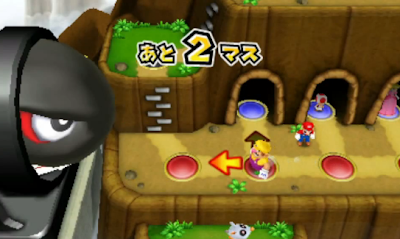 Just like the name implies, Mario Party is a party game that plays out a lot like a board game. You pick your character, role the dice, make your way across the board, land on special spaces which cause you go either gain or lose coins, or cause a special event to happen, and then after everyone takes their turn you play a mini game. The series is highly addictive, and the perfect game to play with friends and family. 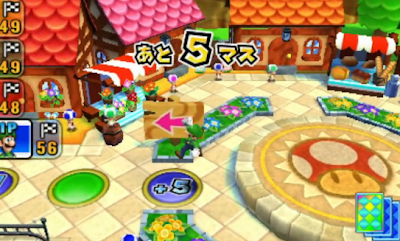 Mario Party "3D" (as we are going to call it) is the next entry in the series and it is coming out on the Nintendo 3DS. This time around the game features a wide verity of game boards each with their own gimmicks and sets of rules. While in past games each board played out just about the same, this time around each board will have a different goal for you to complete, and obstacles for you to face. For example one board has a giant bullet bill which will come flying across the screen if you roll it on the dice. The stage features spots you can get in to be safe, but it also halts your progression. It is up to you to decide if you want to take the risk and stay out in the open, or if you want to get back to a safe area. Right now not much else is really known about the game, but it will make use of the 3DS's features for its mini games, and it will feature at LEAST local multiplayer. If the game will have online or not is currently unknown.